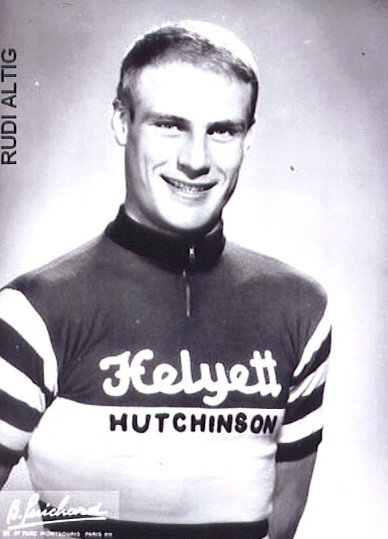 Rudi Altig (born March 18, 1937) was one of the premier riders of the 1960s, excelling initially on the track but then having an extraordinary road career. 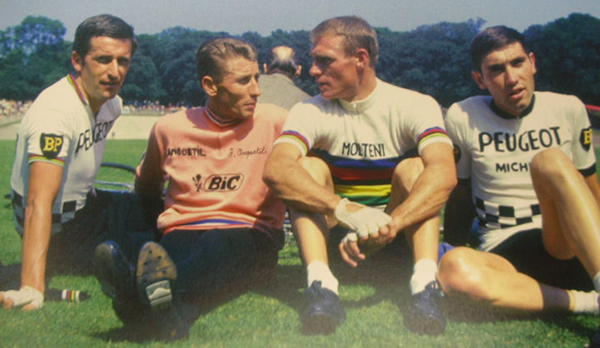 As an amateur in 1959 he became both German and World Pursuit Champion. 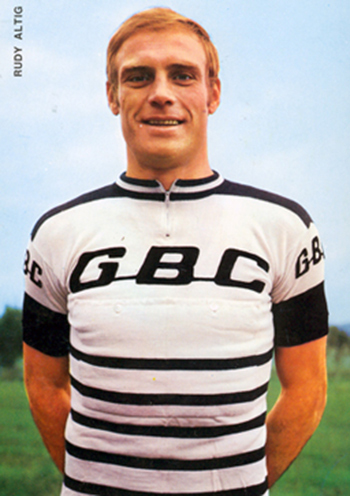 In 1960 he turned pro and that year he won the World Professional Individual Pursuit Championship. He was on his way. 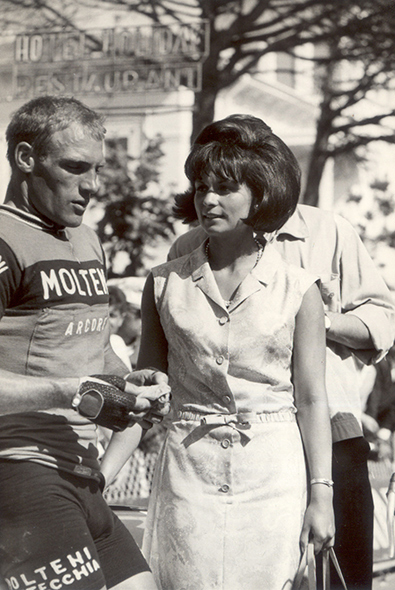 He also started what would become a successful career as a six-day racer, eventually winning 22 six-days. 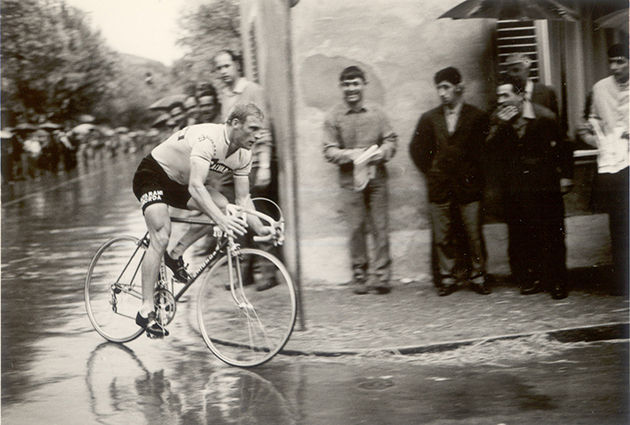 He went on to win the 1962 Pursuit World Championship. 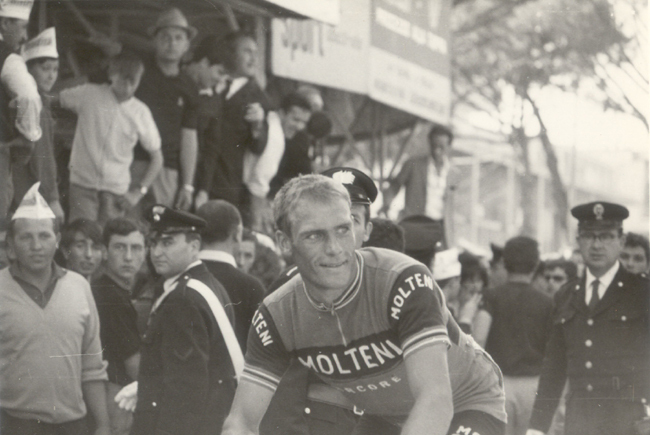 French rider and bike maker Raphaël Géminiani recognized Altig's extraordinary talent and advised him to take up road racing. 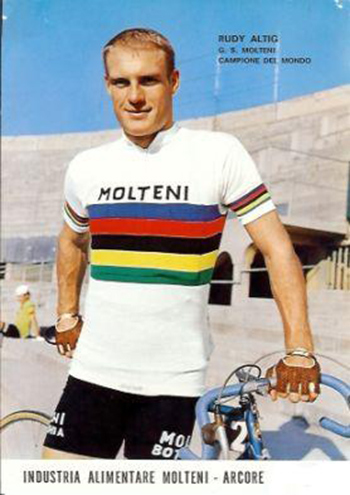 Altig followed his advice and won the Vuelta a España in 1962. 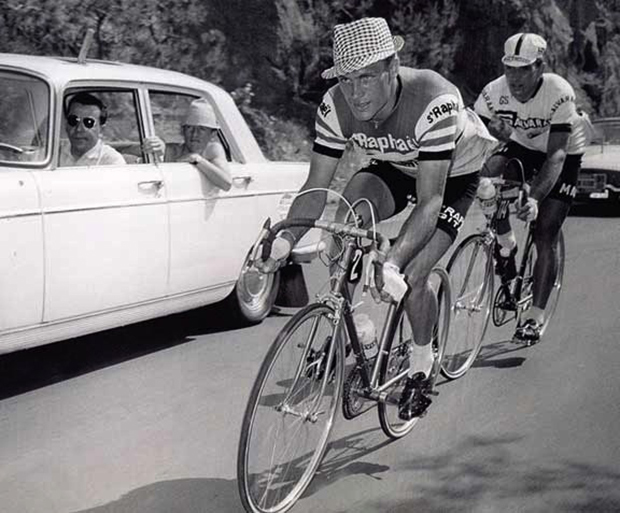 He also led the Tour de France that year for five days, winning the green points jersey. 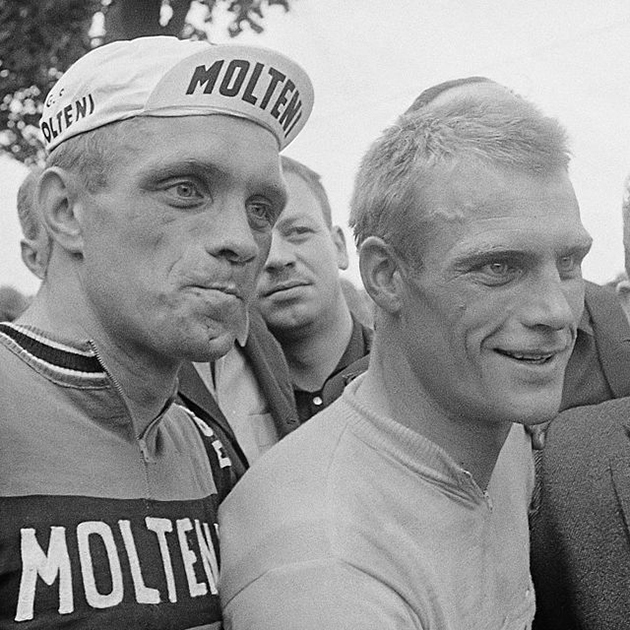 Altig continued to win some of racing's most coveted and valued races, including the 1964 Tour of Flanders and the 1966 World Road Championship. 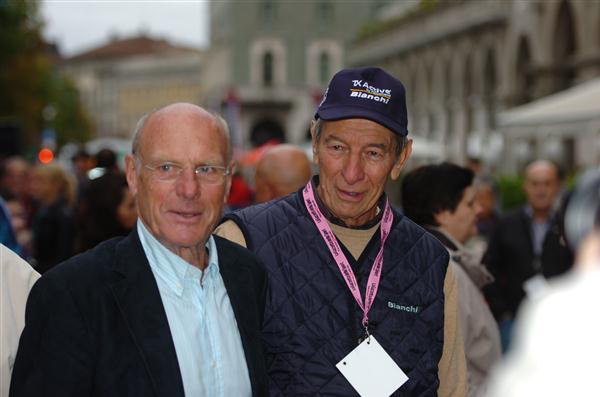 After retiring from racing he directed the Puch-Wolber team and then for five years worked as the German national coach and then as a television racing commentator. Mr. Altig died June 11, 2016 of cancer. Nicknames: Sacré Rudi, "The Mannheim Colossus"
The final of the Leipzig World Championships individual pursuit competition, which Altig won. 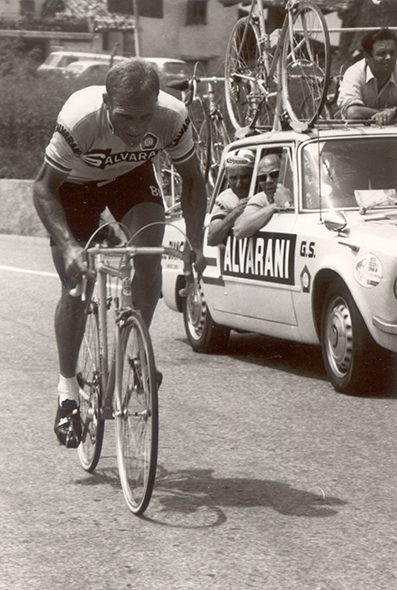 Another shot of Altig at the 1966 Giro stage 11. 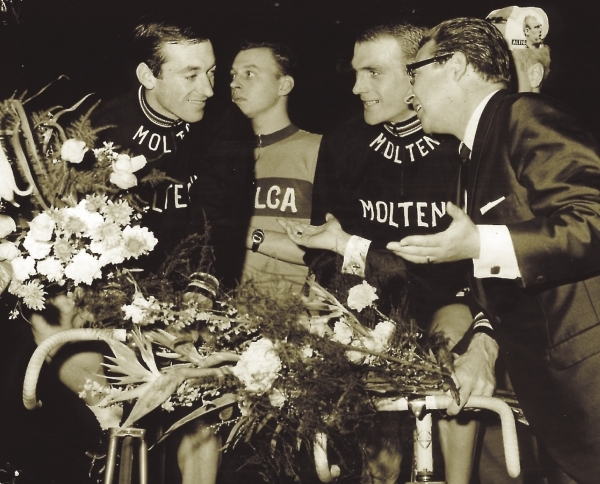 Rudi's brother Willi (on the left) was also and accomlished racer. Rudi is on the right. 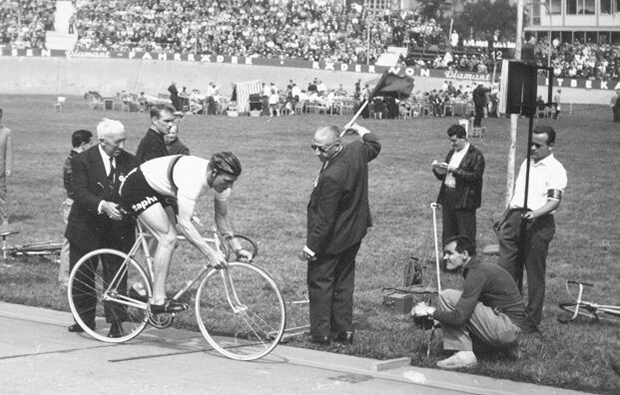 The 1966 Zurich 6-Day. 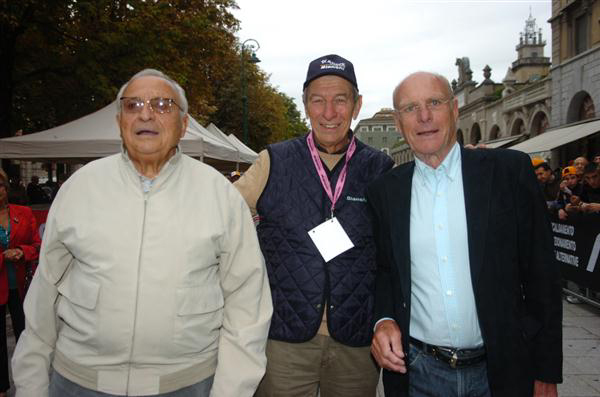 Sigi Renz (left) partnered with Altig (right). 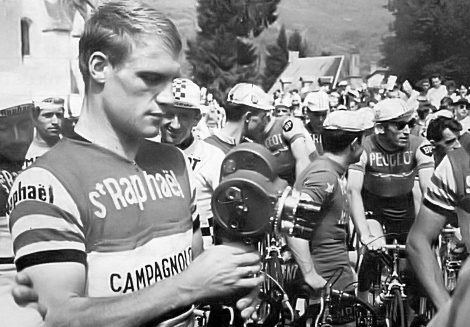 1967 Paris-Roubaix. 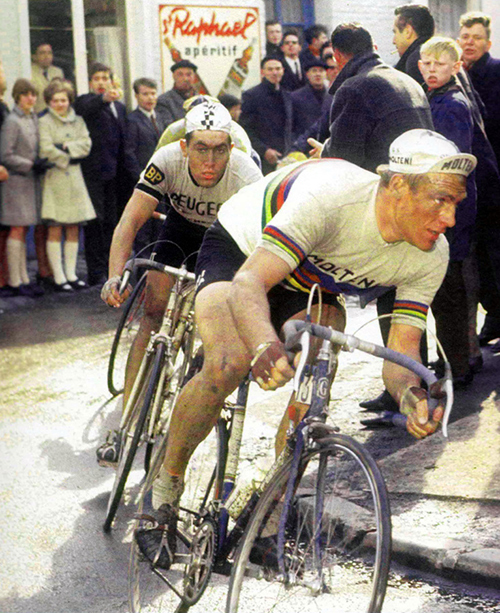 Altig leads Eddy Merckx through a corner. 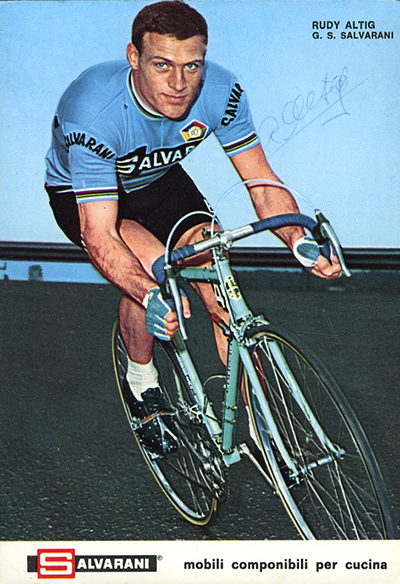 A 1968 or 1969 Altig trading card. 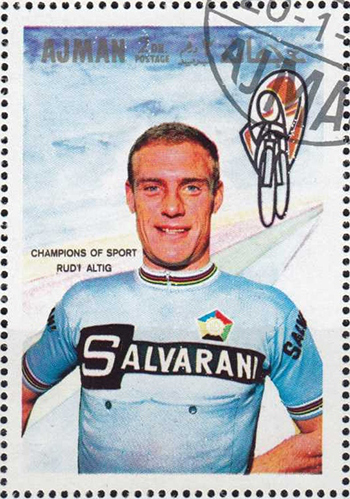 Altig even graced a postage stamp. 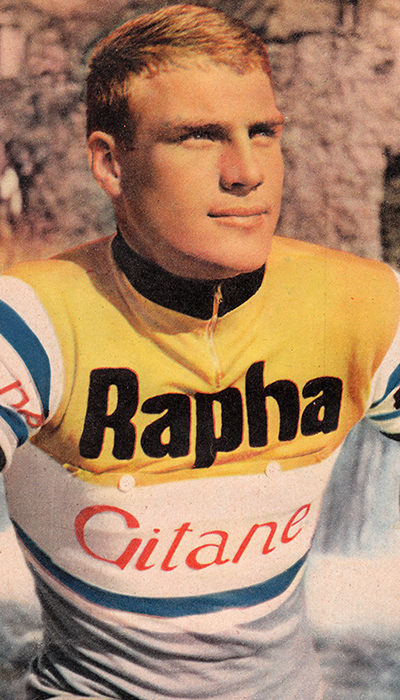 1971, just about at the end of Altig's racing career.